Let me begin by clearly stating that I suspect I might be in trouble when I attend in person at the Traffic Police Headquarters in Ubi Avenue 3… I’m just hoping that at worst case there may be a fine involved, and if so, I can plead ‘ignorance’ as my defence. 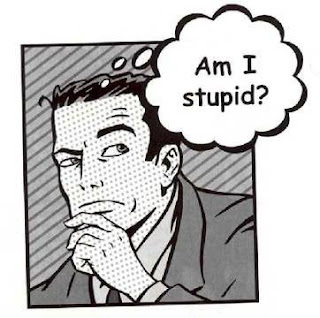 Well, in this case I think I won’t make the distinction between the two – I was ignorant and stupid not to realize that all those years ago when I took up permanent residency in Singapore, I was required to replace my licence. It never dawned on me that the number at the top of my licence (which has a 5-year validity period) was my old FIN (Foreign Identification Number)… this was most probably because I’ve never been pulled over by the police here (*touch wood*), so have never had any reason to even take the licence out of my wallet. 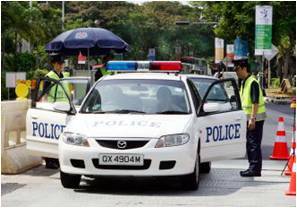 Fast forward to 2012 (time flies) and one of the requirements of owning a car in Singapore, is that when the motor vehicle reaches the three year old mark, an annual inspection is required before road tax is able to be paid. I received my notification for said inspection the other week and as I was thinking about perhaps getting the latest service to the car before-hand, something prompted me to also check if my licence would be expiring. There it was – expiry in October 2012!! So, as per the usual sourcing of information, I googled “renew driver license Singapore” and was directed to this page on the Singapore Police website. Whoops… so now I know that I need to replace my licence, and should have done so well over four years ago. Still a little confused, and perhaps just a little less ignorant, I wasn’t sure what a citizen or PR needs to do to renew their licence once it expires (assuming I had have ‘replaced’ it all that time ago), and not aware if I need to do two things – first replace the licence, then renew it (the new one). REALLY??? WHAT THE?? A licence with my current picture on it is still valid when I’m 64-and-a-half years old? Of course, I know I want to remain ‘ageless’ in my later years, but won’t it be difficult for the police to identify me if I do happen to get pulled over in 20-odd years from now? In Closure: So I’m now not quite so ignorant (or stupid) when it comes to renewing / replacing a licence in Singapore… but I am still ignorant enough not to know whether to use American or British English – is it “defence” or “defense”? Is it “licence” or “license”? Oh well… I can’t learn everything in one day!! I just figured out the exact same thing! Hi Brendan - all good. The lady at traffic police HQ was very understanding. Just have her a new pic and old license, paid the 50 bucks and she fixed it all for me. Punched a hole in my old license and gave back to me with the receipt (which is sufficient if the police had have pulled me over) until new license is sent to me. Received the new permanent (forever) license in the mail about a week later. 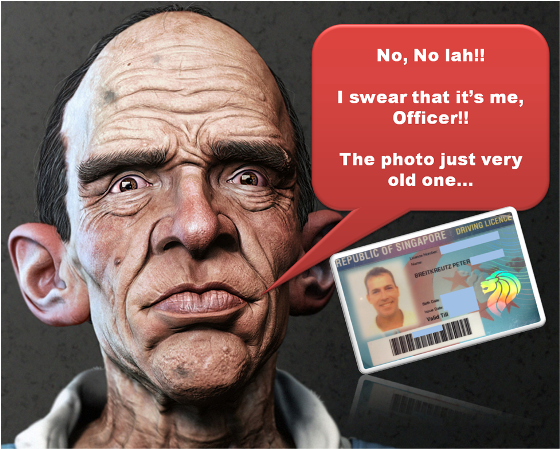 When you first get a Singapore driving license it is good for 5 years. If you become a PR then when it expires you can get a license with no expiry date. I was in the exact same situation, my old licence having expired last month. I became a PR 2 years ago. I went to the SPF at Ubi. Got a queue number, and was called immediately. The guy at the counter asked for my old Licence, and my IC, reminded me that I should have replaced the licence 2 years ago, and asked me to wait to be called. He said waiting time was about 30 mins. I was called 15 mins later, and the staff at the counter confirmed my name, asked for a photo, and I paid $50 (via Nets). what happens if you give up your PR? Can you keep your license? Thanks.